My pamphlet, ‘The Chemist’s House’ published by V Press in June and also available to buy on this site, has had a couple of outings — one at Novel Nights last month, where I read one of the longer flash fictions, ‘Mirela’ and one at the Flash Fiction Festival in Bath, where I read a slightly different version of the story, ‘At the Hospital’, that won the Retreat West flash fiction contest, judged by David Gaffney this year. Thank you to everyone who bought the book on those occasions. 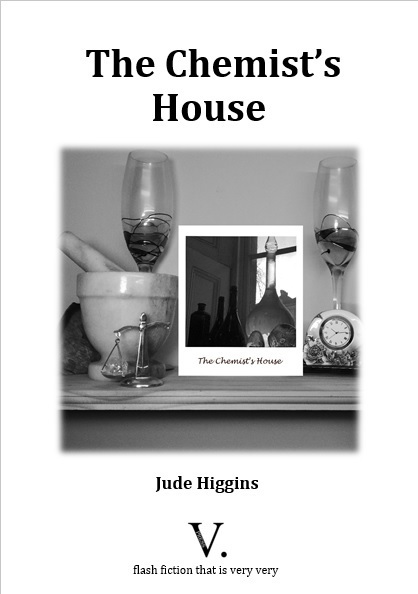 I’m holding an official launch of ‘The Chemist’s House’ at one of Bath Flash Fiction Award’s regular Flash Fridays at St James’ Wine Vaults, Bath on Friday 29th September, 7.30 pm – 9.30 pm. I’ll read for about ten minutes there, along with Meg Pokrass, Diane Simmons, Tino Prinzi, Alison Powell and Conor Haughton who’ll be reading some of their stories too. It’s free this time, as it’s a launch. Plus a free glass of wine. Plus nibbles. Wonder if I can manage cup cakes? Plus books for sale. Hope you can come! The Flash Fiction Festival in Bath at the end of June was wonderful. I’m just getting back to writing now after sorting out post festival things and also thinking about next year’s festival. We are definitely going to organise another one, the feedback was great. I was just sorry not to be able to chat to other writers. It was so busy all the time. Must build in more chat time for 2018! 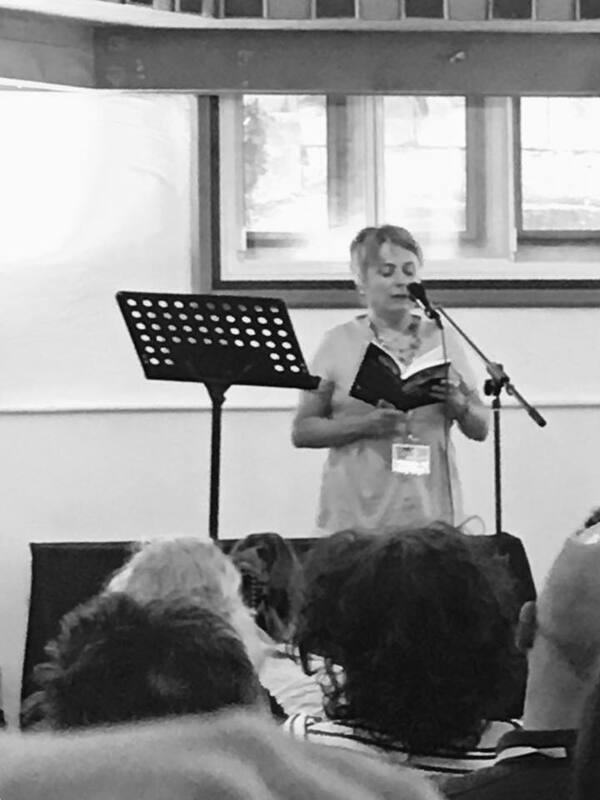 Here’s a picture of me reading my story, ‘There’s No Such Thing as a Fish’, from NFFD anthology 2017, ‘Sleep is a Beautiful Colour’ to a big festival crowd.